I am quite busy lately and can't get to write anything here. Now I reserved some time to catch up and post some info with pictures from vacations. 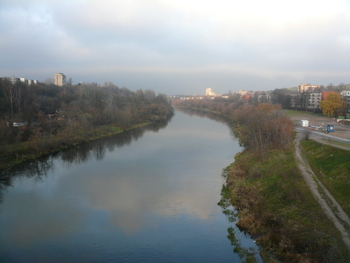 The first vacation was just a weekend in Warsaw in the beginning of February. 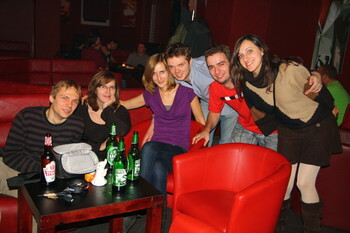 We met with Alina there, because it is a good meeting point for us, just in the middle between Ostrava and Vilnius . The program for the weekend was to relax and also to see any museum we missed last time we had been there. 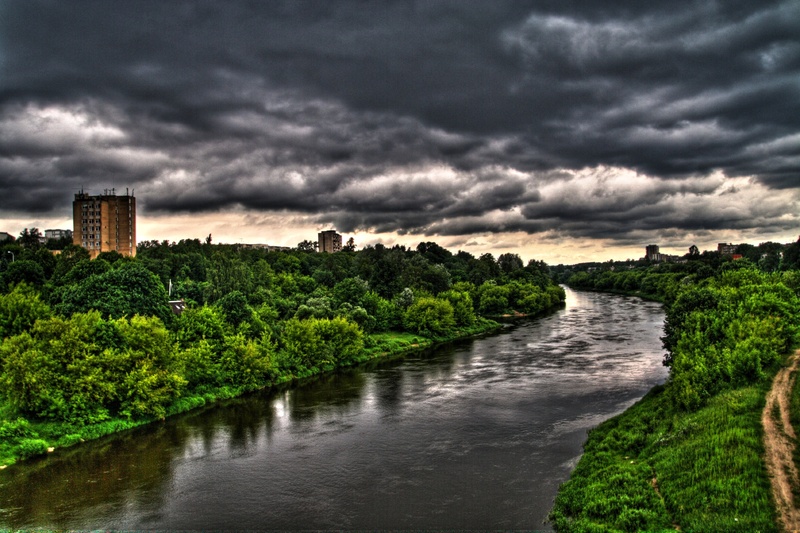 Copernicus Science Centre is a relatively new exposition not far from the Warsaw city centre. The thing of being new had an unpleasant sideeffect – the looong queues. 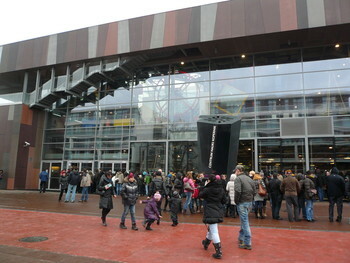 On the first day we came there, saw the queue and left. On the second day we were prepared and armed (with hot tea and sandwiches ) and endured over two hours in the queue, despite signs saying otherwise (see pictures). Inside there were lot of gadgets and toys to play with, although many of them did not sustain the flow of people and broke down. I'd like to see it again when the hype wears off and it is not so crowded. More of the exposition is also going to be open this spring, so it is a good opportunity to return. Comparing to the Universum in Bremen I favour the Universum, because the exposition was better organised, it made sense. In Warsaw, it looked more like chaotically placed together. Maybe it is just an impression because of the big crowd we saw there. 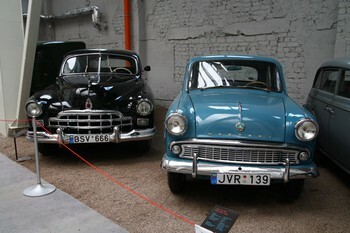 The vacation in Vilnius was a „real one“, the whole week free. Although I had some work to do, I tried to have a good time. Alina pushed me to go to the Impuls sport centre on every weekday, so I did not just lie in bed and sleep . It was very nice there, after some workout a large choice of saunas, jacuzzi, water massage or swimming. One evening we also bought a discount meal in a recently open Sushi place. It was only my second encounter with sushi, so I really cannot compare the quality, but since we had to wait two and half hours to get the meal, it did not really matter, because at that time I was so starving I could eat anything. After the sushi dinner we ended up in the Skybar of the Radisson Blu hotel. The view was magnificent, the prices better than I would have expected from such place. I even tried the „Lithuanian flag“ shot, which looked good, but the taste was an interesting mixture, that glued my mouth: yellow – Suktinis (strong mead), green – melon liquor and red – grenadine. 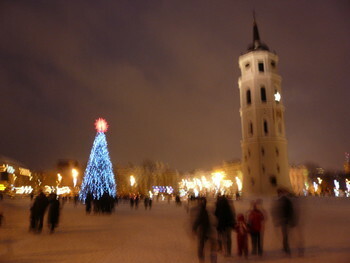 Christmas holidays were over and I was on my way to Vilnius, Lithuania to see Alina and spend Silvester (New Year's Eve) there. We had really good time: on December 31st Alina prepared a marvellous dinner and we went to watch the fireworks from the nearby hill. I also met Vilius (my former neighbour back in Denmark) and went for couple of beers with him. It is a pity my stay there was so short, but it was definitely worth it. 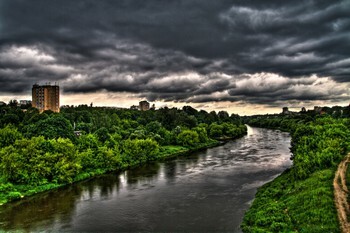 The last days' weather in Vilnius is very hot. 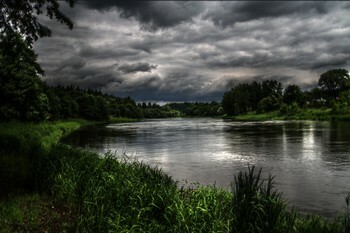 During the day it is very hard to stay outside for a longer period of time. Since sitting in the apartment for the whole day is very daunting, we decided to take an evening walk to the nearby Belmontas mill and have a beer in the restaurant there (that is always a good motivation, isn't it? ). We went on foot from our home and after an hour we reached our destination. 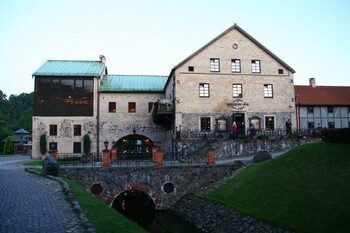 The mill was very nice, I really liked that place. The food and beer were very good too. Our plan of going home was to take a bus, that would take us closer to home, but in the end we missed all of the buses (by a few minutes) and had to also walk back on foot. Fortunately there was another route and our evening walk changed to a nice 12 km stroll. The weather was very sunny lately and we used that opportunity to visit the Verkiai Regional Park, that is just few kilometres from our home. 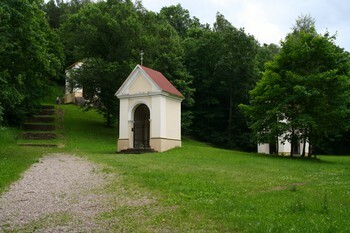 In southern part of the park there is a Way of the Cross. The way symbolizes the journey Christ took in his last days. The locations of chapels exactly imitated the topography of Jeruzalem in the time of Christ. We walked the whole way (it has about 7 km), that is why you can see many chapels in the pictures. After finishing the way we took a lunch and headed back home. Last weekend we visited town of Druskininkai. We stayed there in Eglė spa, where we had accommodation and three days of treatments (for action price ). Treatments contained massages (normal and underwater), mud bath, excercises swimming pools and drinking some sort of herbal tea. It was fun and a good experience. Mud bath. It was fun except the cleaning part . I have to mention the food, it was just great: buffet three times a day, so we were almost permanently stuffed. 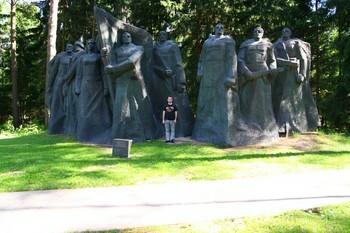 On Saturday afternoon we visited Grūto parkas, which is a large park with large exposition of soviet sculptures and artifacts. It was a very relaxing weekend, maybe we will repeat it some day. Right after finishing the meeting with my former classmates and a very short sleep I started my journey to Vilnius. First I had to take train to Warsaw, where I then had almost five hours to change to a Simple Express bus. 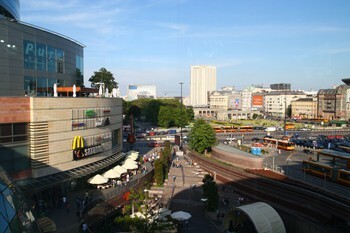 I used the shoping centre next to the central train station as a temporary shelter and got a lunch. Then, to shorten my waiting, I wanted to fin wireless and sit somewhere with laptop. I had no idea, what was going on, but in the whole shopping centre I could not get to free internet anywhere, not even in McDonald's, KFC and several other places . When I finally gave up, I went to walk aroung to take some pictures. In the evening I took a bus and left Warsaw. The rest of the journey went quite smoothly, because I managed to sleep it though .